When you are preparing for a swimming pool installation, it is important to create a pool design that matches perfectly with the style and layout of your home and yard. From traditional L-shaped pools to pools with organic, curved designs, your pool contractor in Salt Lake City can help you create the perfect pool for your property. To get the most out of your swimming pool or hot tub installation, it is crucial to work with swimming pool builders who have a great reputation in the local community. Read on for some handy tips to keep in mind when you are choosing a swimming pool layout. If your yard has a formal look and feel, you may want to choose a rectangular layout for your swimming pool. The rectangle is a classic swimming pool layout that has been used for many centuries. For those pool owners who like to swim laps or perform water aerobics, the rectangular swimming pool is also the perfect shape for getting aquatic exercise. To place a unique twist on your swimming pool design, you may want to consider choosing an oval layout. Unlike a rectangular swimming pool, which contains angular edges, an oval swimming pool is rounded on the ends. With an oval swimming pool, you and your loved ones will be able to set up water games around the perimeter of the pool. The softer lines of an oval swimming pool will make this type of pool appear less formal in your yard. When you are seeking to maximize your pool deck space, you might want to consider creating a swimming pool that has an L-shaped layout. With an L-shaped swimming pool, your pool will create a natural lounging area that you and your guests can use to enjoy the sunshine. Since an L-shaped pool has a natural contour, you can also create shallow and deep areas that are suited for different swimming activities and games. Gunite pools are popular choices for homeowners and business owners who are looking to have beautiful, long-lasting pools installed on their properties. Gunite is a pool installation application process where concrete is sprayed over a rebar frame using compressed air. A dry mixture of cement and sand is pushed through a specialized hose. Water is added to hydrate the dry mixture at the nozzle of the hose just before the entire mixture is applied to a new pool’s metal framework. 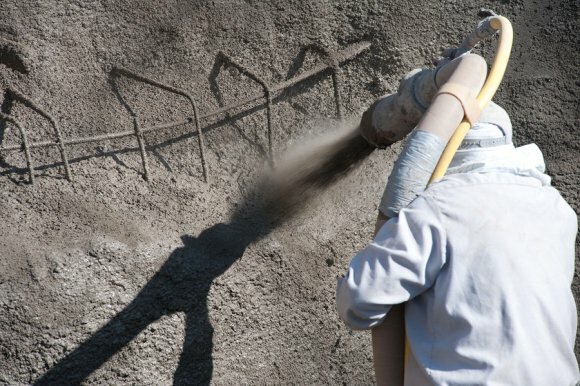 This process makes gunite in-ground pools very durable. And since these pools can be designed and built on site, they can be made in any shape, size, and depth—the possibilities are limited to your property’s lot size, your budget, and your imagination. When you’re ready to design and build your new gunite pool, hire an experienced pool contractor in Salt Lake City who specializes in more than just pool installation. A good swimming pool company should offer other services such as a pool maintenance program, spa and hot tub installation, and poolside design and construction. What Shape of Swimming Pool Is Right for You? One of the first things you have to consider when you’re planning a swimming pool installation is the style of your new pool. With so many different shapes of pools to pick from, the task of choosing the right one may seem daunting. Luckily, it doesn’t have to be. Your design aesthetic, property’s size, and budget are all important factors in determining the right shape of swimming pool. When in doubt, enlist the help of a reputable pool contractor in Salt Lake City . In the meantime, here are a few common pool shapes you should know about before scheduling a pool installation. The shape of an oval pool can be very visually appealing, especially if there are a lot of square edges in your swimming pool area. There are two popular variants to this shape: kidney and figure eight. A freeform pool has no definite or established shape. Design-wise, you can make it look like whatever you wish. Freeform pools can be completely amorphous or fluid, or they can resemble various objects. These pools are a good choice for a homeowner who favors an eccentric or organic design scheme. Rectangular pools are popular because of their basic no-frills style. A lap pool is a type of rectangular pool that is used in competitive swimming. These pools are perfect for swimmers who mainly swim for exercise or who are training for competition. Though rectangular pools can be built to fit any size space, they are best in area that are narrow or that are limited in space. Geometric pools have defined shapes that tend to be square in nature. 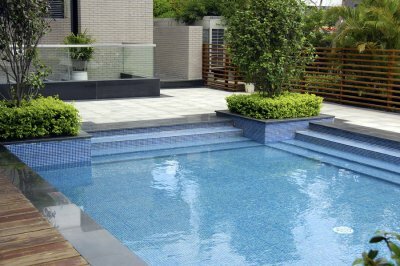 This style of pool can have a modular look to it, which makes it perfect in a contemporary design, and can either be symmetrical or asymmetrical. Grecian and Roman pools have a recognizably classic look to them—they are rectangular pools with highly stylized, trimmed-off corners. They tend to be large pools that can accommodate a lot of people in them at once. If you own a swimming pool and live in an area where winter temperatures drop below freezing, you have to protect your pool by winterizing it. The most important pool maintenance items homeowners need to properly winterize their in-ground pools are quality pool covers. Winterizing chemicals, which are usually sold in special kits, can keep pool water clean and algae free for months during the inactive season. 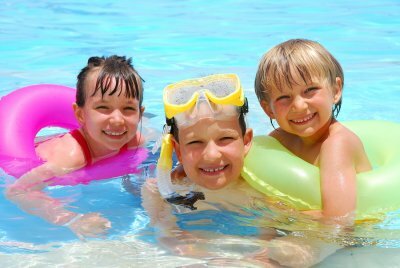 Consult with your local swimming pool company in Salt Lake City . A good pool contractor will be able to recommend the right pool cover, winterizing chemicals, and winterizing techniques to suit your needs. In the meantime, check out this short video to learn more about how you can practice good pool maintenance this winter.